Newly formed impact craters have been discovered on Mars over the past several years. 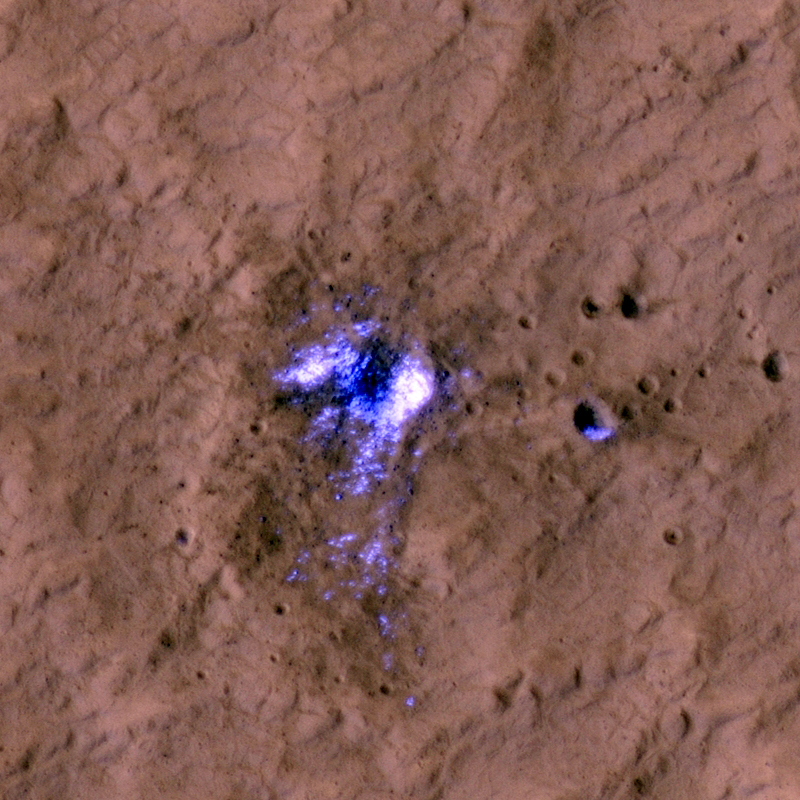 When craters form over dusty regions the impact blast blows the bright dust off the terrain over a wide area, leaving a dark spot. 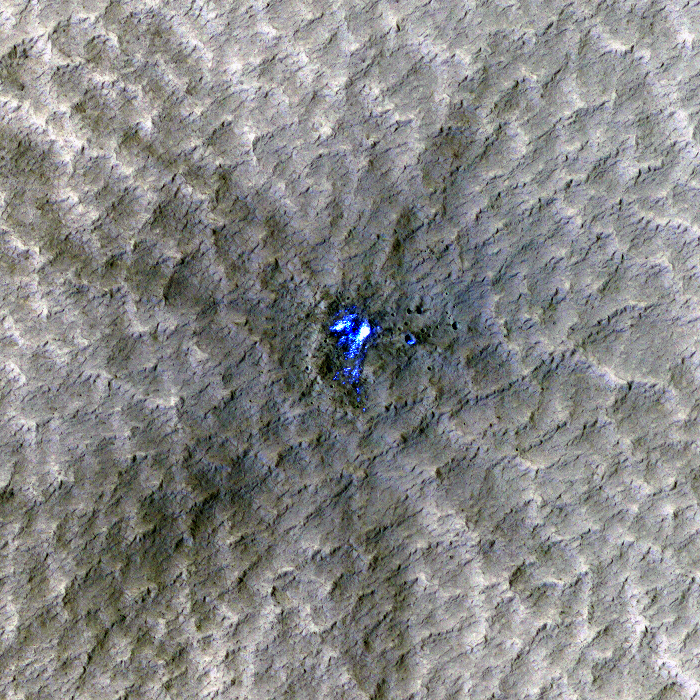 These large dark spots are visible to the Context Camera (CTX) and the Context Camera team reports their discovery to the HiRISE team. 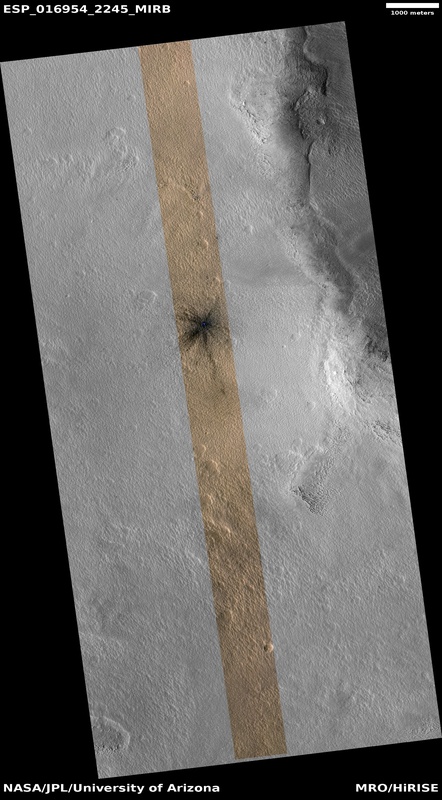 HiRISE has sufficient resolution to see not only the dark blast zone, but also the much smaller crater that formed it. 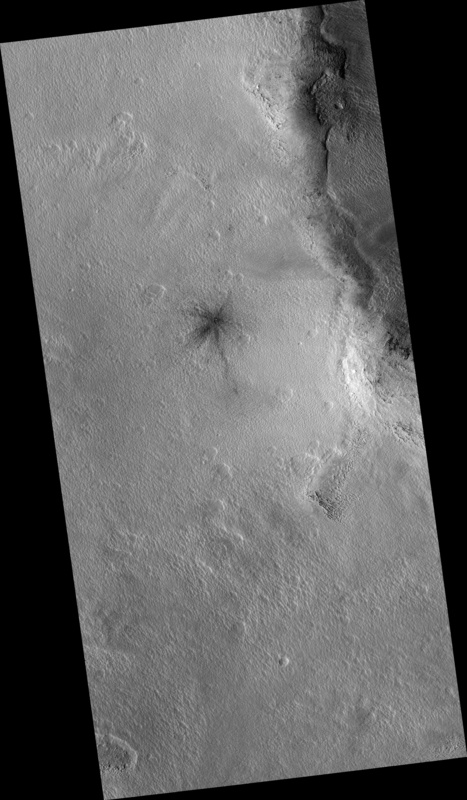 One of these craters, with its dark blast zone, is visible in the first subimage. The blast zone is almost 800 meters (half a mile) across. The crater itself is just over 20 meters (66 feet) across and is shown in the second subimage. This crater is one of a special group that have excavated down to buried ice. This ice gets thrown out of the crater onto the surrounding terrain. Although buried ice is common over about half the Martian surface, we can only easily discover craters in dusty regions. The overlap between areas that both have buried ice and surface dust is unfortunately small. So even though we have discovered over 100 new impact craters we have only discovered seven new craters that expose buried ice. When craters excavate this buried ice it tells us something about the extent and depth of buried ice on Mars (controlled by climate); this information is used by planetary scientists to figure out what the recent climate of Mars was like. It has also been a surprise that this ice is so clean. Scientists expected this buried ice to be a mixture of ice and dirt; instead this ice seems to have formed in pure lenses. 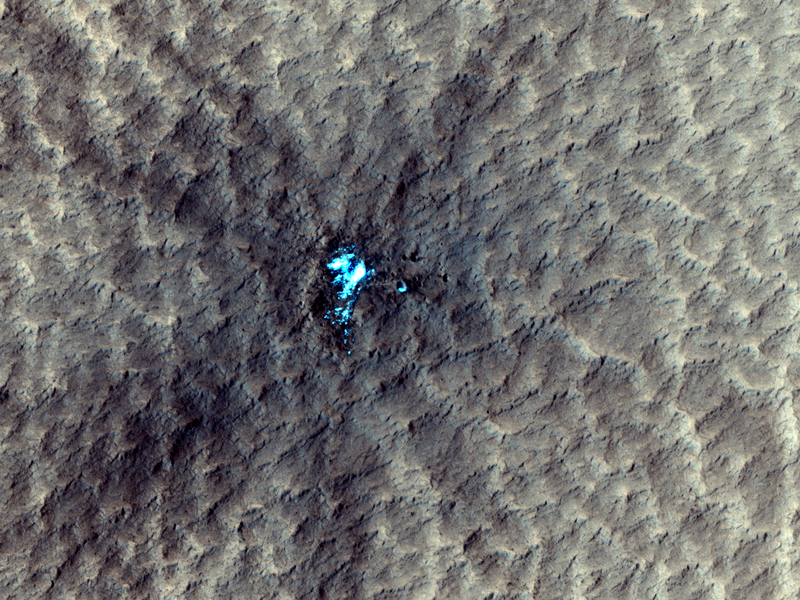 Yet another surprise that Mars had in store for us!